Metrowest Home Remodeling - Quality provider of home remodeling and renovations in the Boston Metro West area. We specialize in bathrooms, kitchens and basements as well as building interiors and exteriors. Since 2000, Scott Gessin and our experienced craftsmen have been exceeding home-owners expectations for remodeling in Metrowest Boston. From Needham to Franklin; Dedham to Norton; Medfield to Mansfield; Wellesley to Hopkinton, we simplify your life by taking the worry out of your home remodeling needs. 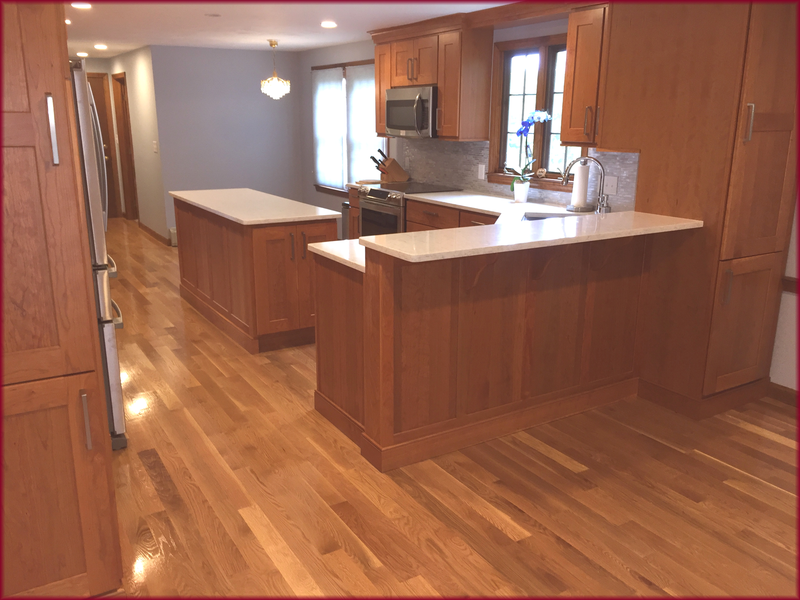 Our craftsmen are licensed and insured with a minimum of ten years experience in working with satisfied customers in southeastern Massachusetts. Led by Scott Gessin, Metrowest Home Remodeling is an energetic and passionate company that will handle all aspects of your project from design to final clean-up. We love what we do and want to help you to realize your homes' dreams from frame to finish. Click on ther image below to see our featured kitchen progress step-by-step from start to finish. Metrowest Home Remodeling is committed to being the best. This means giving our customers more than they expect and providing exceptional service. Our people really care — and they have the desire to do what is right and do it now. We have proven time and again that we deliver high quality work, on time and on budget. Let us design and create all your inspiration desires. Scott Gessin and his team will take the time your project deserves to understand the scope of work and perfect the final outcome. This list is not all-inclusive so contact us to discuss any project ideas you may have. Additional photos of our work are available on our PROJECTS page.